Swedish king Gustaf V bought the first two my grandfather made, as a wedding gift to Prince Gustav Adolf of Sweden and Sibylla. Hence it's named. But this noble wall sconce shines just as nicely in the homes of ordinary citizens. 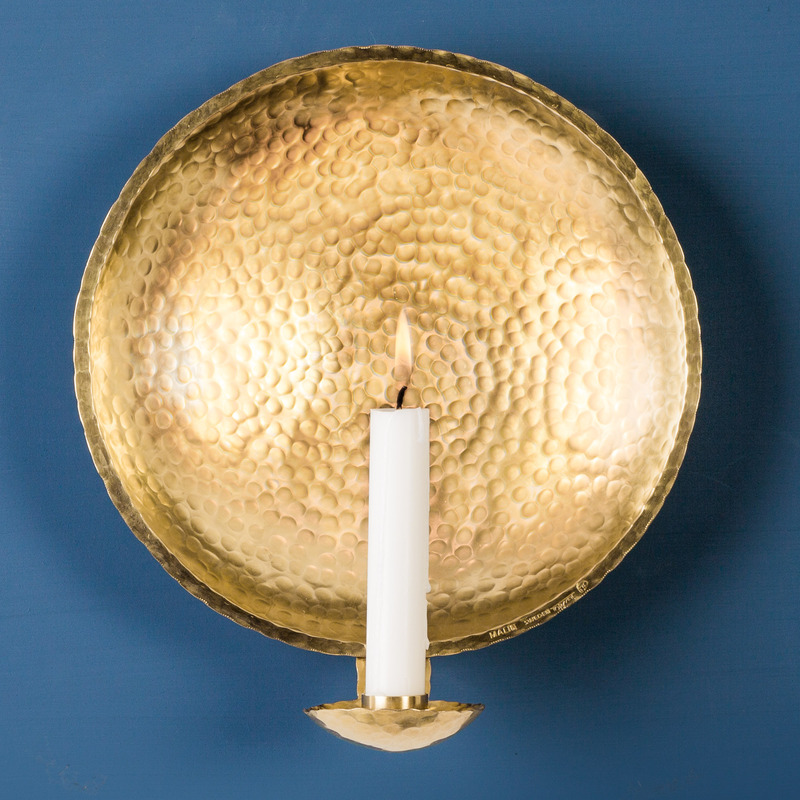 It is handmade in brass and measures 21 cm ø. 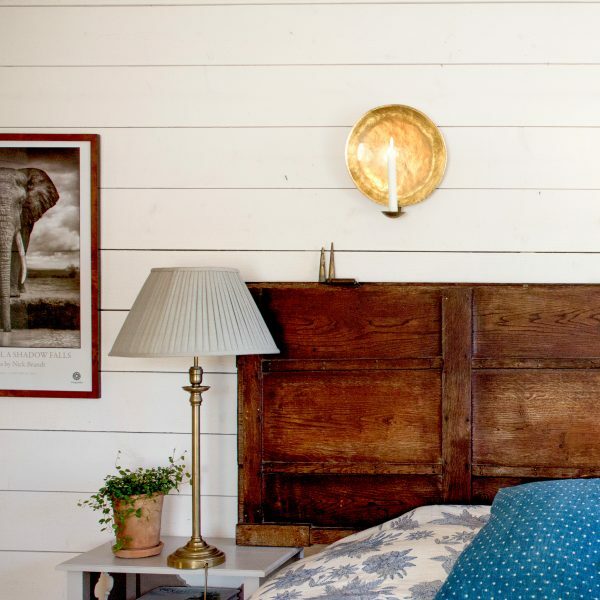 You can use a standard candle for this wall sconce. When ordering this item a candle is included.